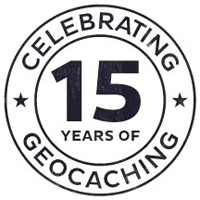 This year, geocaching.com is doing something special to celebrate the end of the fantastic time we have had in 2015 celebrating 15 years of geocaching. Then, earn the Hello 2016 souvenir by finding another geocache or attending a different event on January 1, 2016. Get all the details from the geocaching.com blog here. There are many social events coming up, both to celebrate the end of 2015 and the beginning of 2016. Get the details for events near you by checking out our website events section. 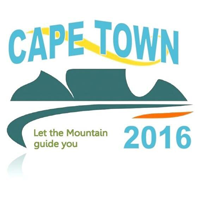 The Mega 2016 organisers have published their event, GC5YRDE Cape Town 2016. It is happening at the Wild Fig in Mowbray on the 1st and 2nd October 2016. Help the event organisers achieve Mega status by logging your "Will Attend" so that they can get to the 500 required. They are currently sitting on 370 so are well on their way to getting the required attendees. For the latest news and updates about this exciting event, follow the Event Facebook group, SA Geocaching Events or visit their website for more information and to download the program for the weekend. What a year 2015 was. Geocaching celebrated its 15th birthday and the Geocaching Road Trip created an opportunity to find special geocaches and earn souvenirs. More World Wide Flash Mobs, CITO Weekends, Earthcache Days and another Geocaching International Film Festival. Finally, Cape Town 2016 has been planned, and we hope you will be joining us there next year. Look back on everything that happened in 2015 here. A challenge cache requires a geocacher to meet a geocaching-related qualification before logging a find. They encourage cachers to set and achieve fun goals. Geocaching HQ is working with the community to review what they do with challenge caches, and are running a survey until December 21, 2015 to get community feedback on challenge caches. Give your feedback and complete the survey here. From everyone at Geocachers of South Africa, we hope you have had an awesome year of geocaching in 2015. For those of you going away, travel safely, enjoy the break, and we are sure you will find some wonderful geocaches wherever you are going. For those holding the fort whilst everyone else is away, enjoy the festive season, and make sure you get some geocaching done too.